Description: Digitization provided by the USF Libraries Digitization Center. Rare Maps. 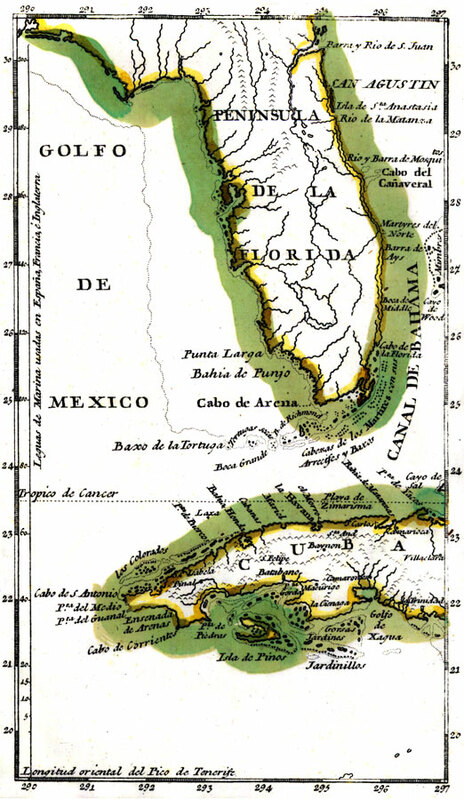 This is a map of Florida including west Cuba showing inland waters and towns in Spanish, circa 1783. It is an inset map from a hand colored map of the Saint Augustine region. It shows the location of Saint Augustine or San Agustin, Cape Canaveral or Cabo del Canaveral, and more. [ca. 1:7,000,000].